We were not made to do life alone – to go solo. We were designed to care about the people around us and lift their burdens in prayer to a God who loves them much more than we can. 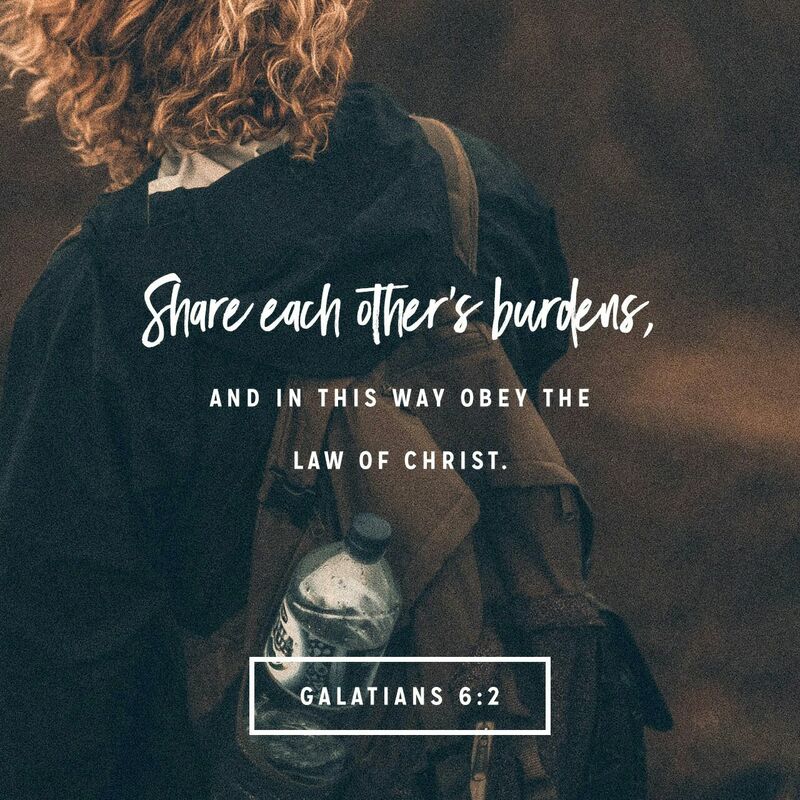 God has equipped us with everything we need to “fulfil the law of Christ” – which is to look after others and share their load in practical ways. Who in your network could do with some practical support? A meal, a home-baked treat, a listening ear, or even some babysitting or housework support? What is the need, and what can you and your wider community do to meet it in the name of Jesus? When we take action to help others, we reveal our heart for Jesus. Thank you Ali , for showing us this today! God bless you !